Procrastination is another kind of habit. It’s like the opposite of creativity. 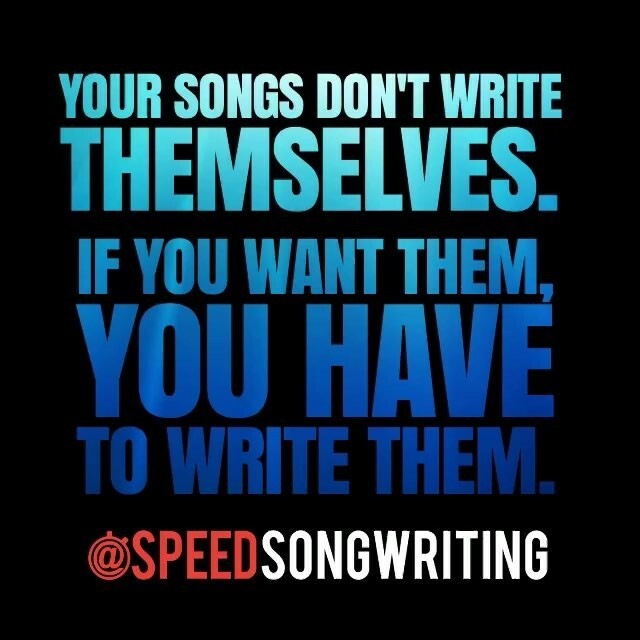 You already know this, but…if you want your songs to exist, you have to create them. 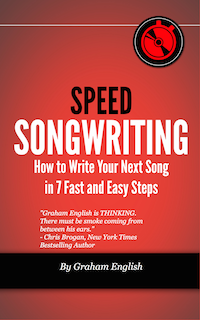 And if you’re not finishing songs regularly, you want to work on developing the habit of finishing the songs you start…even when you feel like procrastinating. 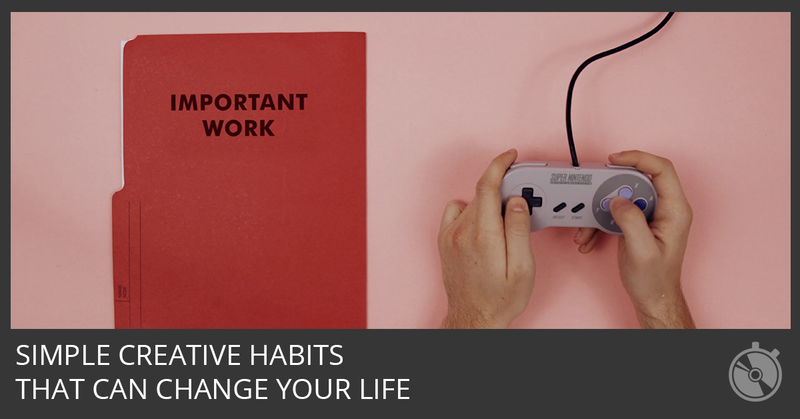 The secret lies in habitually deciding what matters most to you. Start focusing on WHY you want to write this song and do whatever it takes to finish it. One of the biggest challenges songwriters face isn’t technique or the quality of their ideas…it’s their own mind. It’s vitally important as a songwriter to become aware of your own thinking…to be mindful of your own mind. Your feelings follow your focus. If you’re procrastinating, you’re not focusing on the reason why you want this song to exist. Put all your energy into coming up with reasons why YOU WANT TO WRITE RIGHT NOW. That’s how you practice controlling your focus and your mind. Is there a song you’ve been wanting to finish? Take an hour and finish it. Then write the next one. Well… this is a tweatable: “One of the biggest challenges songwriters face isn’t technique or the quality of their ideas…it’s their own mind.” Great! Right on Graham, get in the habit of creating. 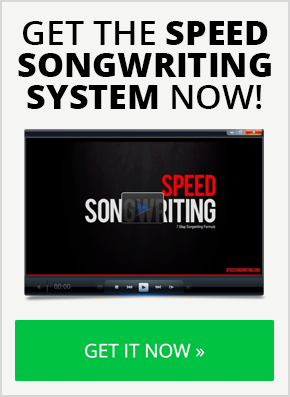 Finishing the song is key: it’s not a song… until the last 10% is done! I figured out how to write everyday… that made all the difference! Glad it helped! One of the worse habits we can get into is the habit of not finishing the songs we start! You’re absolutely right ! I finished 2songs in 1978 in my language. Of course, I was procrastinating with excuses most of the time, but first song motivated me as my first love walked out on me suddenly with no proper reasons that made me dream about her, felt hurt so bad and prompt me to finish it. Second one I was in one region of ppl who knew meas admirable singer, they demanded me a x’mas carol, I was at the conor, I finished it just 30mins! I support your teachingof other tech’too, both began with plots and just kept writing it. You can tweak a song forever. But I think it’s good to finish it and move on to the next. In a few months you can revisit it and you may decide it’s just not very good and abandon it. Or you may think about tweaking it again. Just don’t get stuck on it too long! I think you stifle creativity by spending too long on one song. 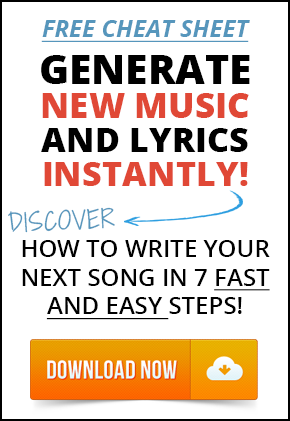 Improve your chances of writing a great song by writing more of them.